Every cat have vestibular and proprioception system than any mammals. Vestibular is the part of ear where the balancing system of a body from, and proprioception is the body's sense of where it is in a space. 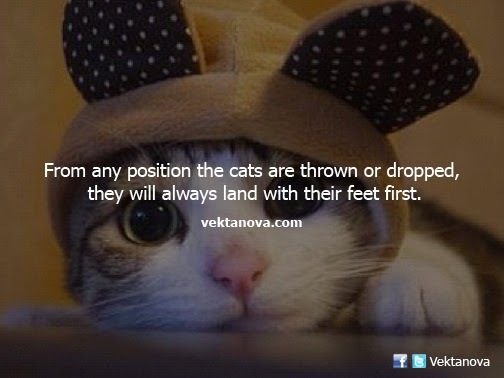 When cats are dropped from the air, while in the mid-air, their head will try to get to correct position, their hands (front feet) then will follow the position of their heads, followed by their back feet. And their tails are used to get some extra balance once their feet reach the land. No response yet to "Cats Always Land with Their Feet"